Based on a sharply growing demand, we are expanding our team with multiple R&D Engineers at various degrees of experience, from fresh graduates to experienced R&D Engineers and/or PhDs. Engineers with team leading skills are also welcome as candidates. 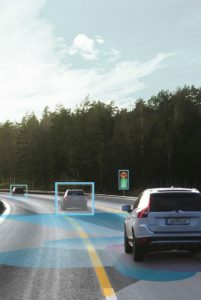 Successful candidates will work on an exciting long-term R&D project in the field of computer vision and machine learning for automotive industry, contributing to general efforts in the direction of increasingly autonomous vehicles. As part of the team, you will constantly seek to expand your knowledge through constructive thinking, discussion and latest scientific publications and conferences, and creatively apply this knowledge to real-world problems faced by the project. You will be working within a mixed Croatian and Swedish team of top-level engineers like yourself. Work may involve occasional short travel to Sweden. Send us your CV and motivational letter to careers@visagetechnologies.com. We look forward to your application!